Welcome to Cardiff Hypnotherapy and NLP with Claire Hegarty the well known Hypnotherapy and NLP Expert as seen on TV and Always Heard on the Radio Including Her two monthly radio shows. 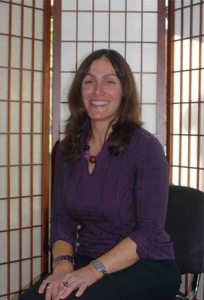 Cardiff Hypnotherapy and NLP with Claire Hegarty offers all clients a free consultation either by telephone or face to face at one of her offices around the United Kingdom. Cardiff Hypnotherapy and NLP with Claire Hegarty is different from other Hypnotherapy clinics where we offer all our clients a free one hour free consultation on all of our services. If you are serious about wanting to change and improve your life then Claire Hegarty is the person you need to call. Once you make that first step and call our head office on 0151 678 3358 you will then receive a call back from Claire Hegarty who will explain the service that best suits you and will offer you a free one hour consultation over the phone or if you wish at one of her offices around the United Kingdom. Cardiff Hypnotherapy and NLP with Claire Hegarty offers a number of services which include: Allergies/Asthma, Anger Management, Anxiety, Block and Stutter/Stammer, Business Coaching, Depression, Fear of Flying, Fear of Needles, Fear of Public Speaking, Irritable Bowel Syndrome, Pain Relief, Personal Development, Weight Loss, and Substance abuse. Cardiff Hypnotherapy with Claire Hegarty – your local Professional Hypnotherapy and NLP expert is here to help you to change and improve your life for the better – helping you to over come obstacles in your life with powerful life changing results. Claire Hegarty has been helping many people in Cardiff to deal with issues they may have. Hypnotherapy and NLP is a powerful tool and can be used to help people with a variety of symptoms, conditions, and emotional issues. Hypnotherapy is a safe and powerful way to help deal with your symptoms. As many of our clients in Cardiff can tell you, hypnosis is a powerful technique that works by resolving your issues by working with your subconscious mind. People looking for Hypnotherapy in Cardiff have come to Claire Hegarty for the following symptoms where they have received a professional and powerful service to help them lead a normal and healthy life by resolving their symptoms.